Solar energy is the gateway to our future for generating renewable energy. Every second, the sun produces enough energy to sustain Earth’s needs for 500,000 years. Integrating the ability to harness this power within society will make us stronger! Residential solar power systems produce energy from sunlight. A solar power system can generate all of the electricity required to run your home or just a portion of your home's electricity consumption depending on the size of the system you install. The systems are most commonly installed on the home's roof but can also be installed on the grounds of your property on Carports, Pergolas, Ground Mounts or Covered Patios. Infinity Solar will design the solar system that best fits your location, budget and your energy needs. Solar Modules are mounted on the roof or around your home to capture the energy of the sun and produce Direct Current (DC) power. The DC power generated at the modules is then sent to a piece of equipment called the Inverter, which converts the DC power from the solar panels to Alternate Current (AC) power, just like the power your home receives from the power company through the Utility Grid. Once the power is converted to AC power, it travels to your electrical service panel or breaker panel box, which is then distributed to the rest of the home to satisfy any electrical loads that the home is using. When the home is not using electricity, the excess power is then sent back to the grid through the electrical meter, causing your meter to spin backwards and credit your account with the utility company. When your solar system is not producing power at night, then you will use power from the utility company or when your consumption exceeds the power being produced by your solar system, making it very convenient and avoiding the need to have a battery bank. 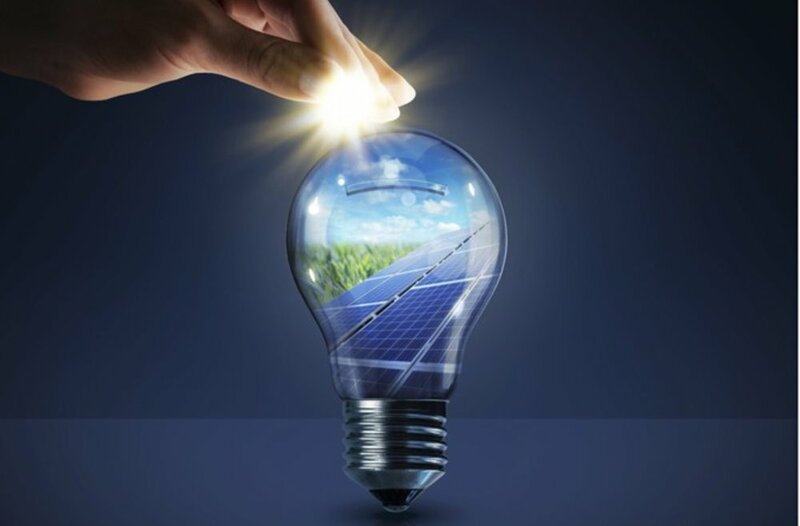 Net metering is a policy that benefits consumers who own renewable energy systems, such as solar power or other types of alternative energy systems. Net metering means that any excess power that remains after your energy consumption will be credited to your account. Under net metering, a system owner receives retail credit for at least the portion of the electricity they generate.